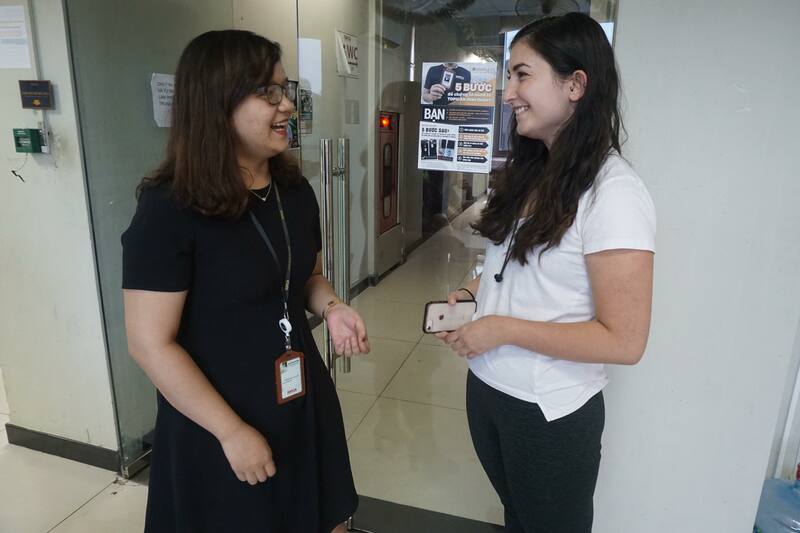 As the Ivey Global Laboratory group internship program comes to an end, we sat down and reflected with some of the interns about their time and experiences living and working in Hanoi, Vietnam and any internship advice they could offer. 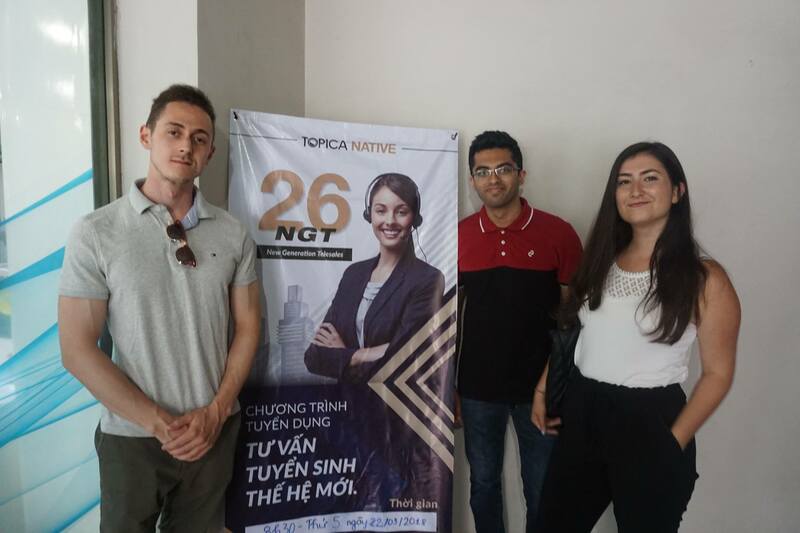 We sat down with the students who were working at Topica, Vikki Ulubabian, Liam James, and Feras Ashfaq, who had a lot to talk about! One of the most important things they stressed was to come in with little to no expectations. When coming to a foreign country, it’s hard to know what to expect, and it’s better to leave your expectations behind and just embrace whatever happens. As Liam mentioned, “Walk in with no expectation other than to expect the unexpected. 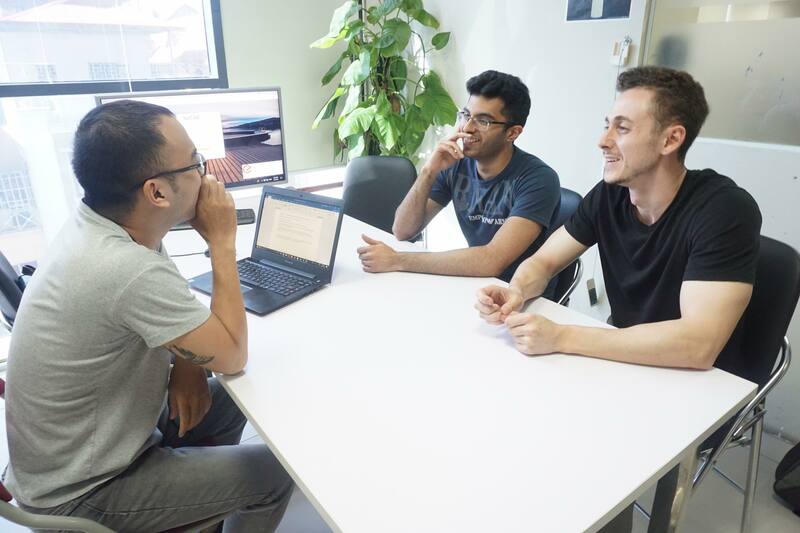 Walk with your eyes wide open, because having a broad stand point allows you to adapt and be flexible.” When they first received their placement and project information, things were a bit unclear and they weren’t sure how they’d fit in to the company. Upon arrival, many things were cleared up once they visited the company and met with their supervisor. 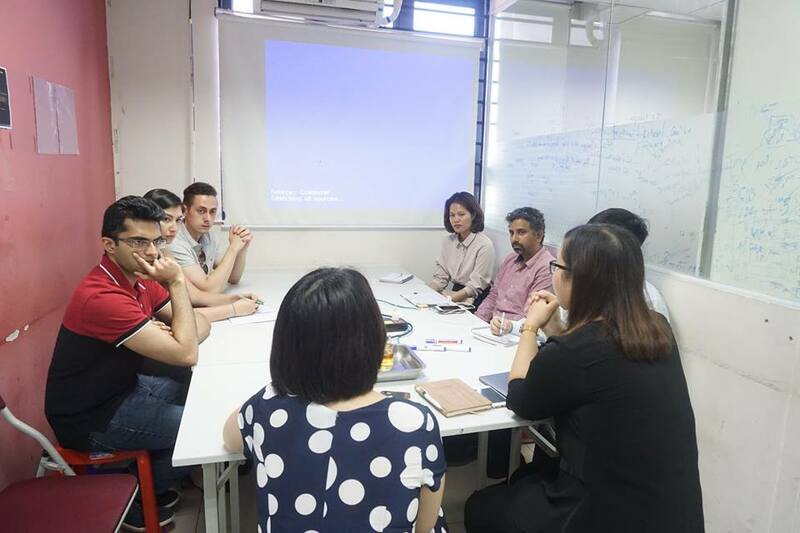 The first meeting with Topica to learn more about their project and objectives. Getting excited about starting their internship! After a bit of time spent down and unsure how they were going to accomplish their final goal, something switched. This is one point the team very strongly stood by, that making friends with your local coworkers creates an entirely new experience! It made everything much more worthwhile after that. They began to actually feel a part of the company as opposed to working for a client. “Once you become friends with the people, you want to see them succeed,” Vikki mentioned. Things started to click for this group, their new local friends were showing them around the city to places they would have never found on their own. Living and working in Vietnam started to become much easier and much more understandable. As an example, we discussed the excessive horn honking that happens in Vietnam. When you first arrive, it’s annoying. It’s loud and it seems impolite from your western stand point. Back at home, honking may typically be seen as rude and obnoxious, but in Vietnam it’s completely different. In Vietnam, horns are honked to alert other drivers that you are there and are approaching. Since motorbikes are the main form of transportation, it’s not always possible for everyone to keep an eye on each other, so sound is another way to know who is around you and how fast they are going. Once you understand this, honking doesn’t seem as annoying and you are able to tune it out because you now recognize why it is happening and that it is necessary. This is just one example of how getting a local perspective on things helps you to be more understanding of your new environment as opposed to letting these things upset you and bother you. Vikki and her supervisor being much more smiley and friendly in contrast to the first photo! The final thing we talked about is what they took away from this whole experience. For them, they definitely found this experience valuable. Though it was not always easy and sometimes things went wrong, it is important to progress from these bad experiences and treat them as learning experiences. They learned to disassociate themselves and their emotions from their work so that they wouldn’t take the faults personally and instead learn from them. Keeping a positive attitude is important, as things can always get better, as it did for these students! Culture shock comes in a cycle, as these students learned. At the beginning you’re in the honeymoon phase where it all still seems like a vacation, but once the real world begins to settle in and you realize it is no longer a vacation, it gets you down. After the down, it is a slow slope upward as you begin to adjust and learn more about the culture to which you’re adapting. It’s okay to not always feel happy and motivated, that’s part of living and working abroad! Making local friends is a great way to cope with this and is a very important part of the process. The students at Topica suggested befriending locals as quickly as possible to really be able to take advantage of your surroundings. In addition, Liam mentioned that he found it to be very important to understand the history of a country, especially one like Vietnam. The last 100 years in Vietnam have had a huge impact on where the country is today, and coming into the experience with this knowledge gives you a greater appreciation for the local people. They have gone through great hardship in their lifetimes, but they still remain very positive and kind to foreigners, even though they have a lot of reason not to be. Lastly, as Vikki and Feras come from immigrant families, they were able to come out of this experience having a greater respect for their parents and other immigrants. Living and working in a new country is difficult, but for these students this was just a portion of their lives and a fun experience. For immigrants, it’s the new normal for them for the rest of their lives. The students saw how difficult it can be to stay motivated when you can’t see an end in sight, giving them a new appreciation for the hardships faced by immigrants all over the world. Feras and Liam spending time with one of their Vietnamese coworkers who they now consider a friend. The Topica group certainly learned a lot from this experience, both good and bad. They will return home with new skills they can apply to their future work and fun stories to share with their family and friends. Working and living abroad doesn’t have to be scary, it is all about how you approach it and how you decide to utilize your time. If you come in with high expectations and a closed mind, it will be very difficult to enjoy your time in Vietnam. If you come in with no expectations and a very open mind, I am sure you will find a way to enjoy your experience, even if things aren’t always going your way. You will always have a support system from Student Exchange Vietnam, and we are here to help you in any way we can. However, it is also up to you to make the most of your experience. Vietnam is a very fun, yet challenging place. Expecting structure and conciseness will leave you frustrated. Enjoy the differences and thrive in the chaos and Vietnam is sure to be a worthwhile experience!